In a historic first for streaming media, NBCUniversal has committed to streaming all 302 events and all 32 sports at the 2012 London Olympics online. From the Opening Ceremonies on July 27 to the Closing Ceremonies on August 12, 2012—and for everything in-between—Olympics fans will be able to log onto NBCOlympics.com for their video fix. The network estimates that, when all is said and done, it will have offered more than 3,500 hours of Olympic streaming media online. As well, NBCOlympics.com will live stream NBCUniversal cable channels NBC Sports Network, MSNBC, CNBC, and Bravo. There will also be two "Live Extra" apps made available in both smartphone and tablet formats. The first app will feature live video streams from London. The second app will offer short-form highlights, schedules, results, and columns; making it ideal for "second screen" viewers already watching the Games on TV. The catch: The vast majority of NBCOlympics.com’s streaming media—branded as ‘NBCOlympics Live Extra"—will only be available to people who are already registered subscribers to cable, satellite, and/or telco carriers who offer MSNBC and CNBC on their systems. Would-be viewers will need to prove their paying status when they try to access to NBCOlympics.com’s streaming media feeds. Although Olympic live feeds will not be seen on its website, YouTube is playing a big role in NBCUniversal’s Olympic coverage. In fact, the Google-owned company will be hosting NBCOlympics.com’s video feeds and providing the site’s video player. Of course, the viewers won’t see all of these happening. They’ll just know that the website they are accessing—NBCOlympics.com—is giving them the video and second-screen content they are seeking, whether it be on PC, smartphone, or tablet. This website is the work of deltatre; a web design firm based in Torino, Italy. They have has created notable sports websites such as FIFA.com, UEFA.com, BBC.co.uk/Olympics and CTVOlympics.ca. In the run-up to the London Games, the Universal Sports Network (USN; a partnership between NBC Sports and private equity fund InterMedia Partners) has been providing a wide range of Olympic-focused features on streaming media. They include the "Road to London" series, looking at how U.S. athletes have been preparing for the Games, plus coverage of numerous Pre-Olympic competitions. As with NBCOlympics.com, the site requires users to sign in to get full access to all of its content—and requires those users to be cable/satellite/telco service subscribers. USN is providing its Olympic-themed content using the Brightcove Video Cloud online video platform. This software has been integrated into USN’s existing WordPress content management system; making all of Video Cloud's features and functionality available within USN’s WordPress environment. "Brightcove Video Cloud plays an instrumental role in meeting our aggressive requirements to offer significant quantities of both live and on-demand video content across multiple screens," said Elliott Gordon, VP/GM of digital for Universal Sports, in an April 18 Brightcove news release. "Video Cloud also gives us access to critical analytics and reporting tools that we use to measure the performance of our programming and fine-tune content to best meet the demands of our passionate audience and dedicated advertiser base." To ensure an optimal viewing experience, Video Cloud’s Smart Player application is automatically detecting what device and bandwidth a viewer is using. Meanwhile, Adobe Pass is handling the authentication of each USN applicant against databases of cable, satellite, and telco subscription credentials. Approved viewers will be able to then select and subscribe to sports-specific video packages, through a CSG International content management platform. Judging by the NBCOlympics.com subscriber access requirement, NBCUniversal is using the 2012 London Olympics to push viewers to its many television properties. The vast majority of these properties are only available on cable, satellite, and telco carriers. This approach should increase revenues paid to NBCUniversal by signal distributors who redistribute this content over their TV systems. In fact, given the U.S. audience’s historic passion for the Olympics, this strategy could be a real money-maker for the network; and help boost its television ad revenues by driving up viewership. This explains why—even with its historic commitment to streaming the Olympics—NBCUniversal is loading many of its television properties with Olympic content. The numbers are staggering: All told, NBCUniversal will be presenting 5,535 hours of games coverage across NBC, NBC Sports Network, MSNBC, CNBC, Bravo, Telemundo, two specialty channels, and its first-ever 3D platform, as well as NBCOlympics.com. 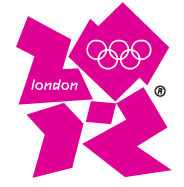 The flagship NBC network will broadcast 272.5 hours of London Olympic coverage over 17 days; nearly 50 hours more than the 225 hours daily average from Beijing in 2008. Weekday coverage will start at 10 a.m. after NBC News’ Today show, which will be originating from London. Weekend coverage will start as early as 5 a.m. Enough with the complaining, enough with the hashtags. We've seen all this before and it's not going to change. Using two Primetime components, the BBC will create live streams and instant highlights in a unified workflow.